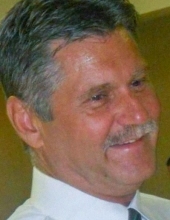 Douglas Charles Babbitt, of Grand Ledge, MI, born December 6, 1959 in Lansing, MI, passed away February 1, 2019 at the age of 59. Doug was a graduate of Grand Ledge High School, Class of 1978; was actively involved in circle track racing across Michigan, racing Mini Champs and IMCA Modifieds also, serving on the pit crew for his brother. Doug was involved in the family business of asphalt and parking lot maintenance and loved being outside. Fishing brought him much joy, but nothing was more important to him than spending time with his family, especially his grandchildren, which he adored. He is survived by his son Jason Babbitt, daughter Lindsey (Jerrod) Simpson; three grandsons: Justyce, Jude and Austin. His mother Joann Babbitt, sister Terri Hovey-Randell, sister-in-law Kelley Babbitt, nephew Justin Babbitt, and his best friend Glenn (Sherry) Freeman. He was preceded in death by his father, Larry Babbitt, brother Marty Babbitt and granddaughter Andreah Mitchell. To send flowers or a remembrance gift to the family of Douglas Charles Babbitt, please visit our Tribute Store. 7301 W. St. Joseph Hwy. "Email Address" would like to share the life celebration of Douglas Charles Babbitt. Click on the "link" to go to share a favorite memory or leave a condolence message for the family.